Today was a big day. An important day. A day that marked the beginning of startupBahrain - the island's first tablet magazine. With all the resources available for startups - financing, consultants, workshops, exhibitions supporting local businesses...etc, a dedicated resource was not to be found. This is when founder Bahraini Ahmed Alsawafiri noticed the shortfall and startupBahrain was borne. A digital magazine that promises to deliver relevant content in an exciting interactive content, it is produced with the reader in mind and executed beautifully. I found it with ease on the appstore and immediately hit the install button. 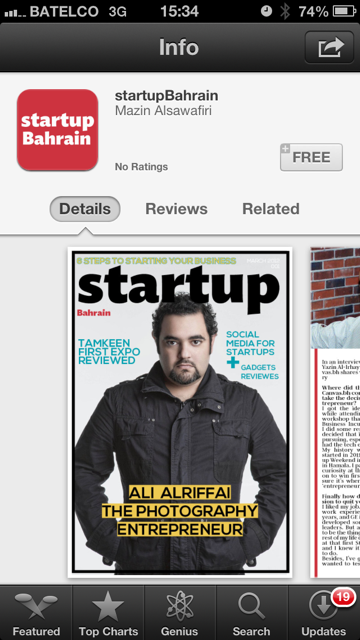 It's a free app made in Bahrain by, I believe, the founder's brother. I downloaded it on both my iPhone and iPad. It is also worth mentioning that I am absolutely and undeniably honored that I was asked to contribute in this first edition and was thrilled to see a tiny picture of me in the appstore's screenshots. Once downloaded, I started it up and was greeted with a screen where I selected the relevant issue to download/view. I love how the issue is 1.0 - catchy. Once downloaded, the first page is the cover page which is a clean, clear and crisp page with a layout that is easy to the eye. 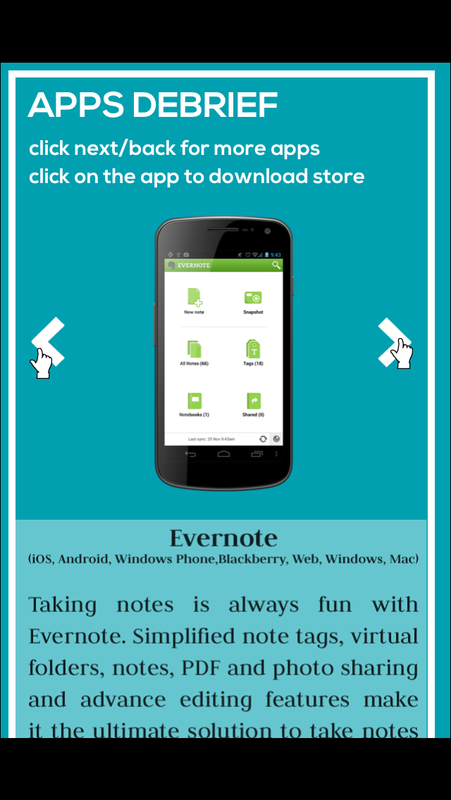 Next page: a simple and clear instructional page on how to use the app and flow between the pages. Next page: a short and to-the-point introduction by Ahmed Alsawafiri. I was so impressed that the video imbedded started up (scaring me in the beginning as it was unexpected) on its own and, like the intro, was short and precise. Ahmed mentioned that the main purpose of going digital is to increase reach. The magazine aspires to not only reach Bahrain, but also the Arab world. He invited feedback and ideas with the hope of featuring budding entreprenurs in their upcoming editions. The contents page was neat (as in organized) and also neat (as in cool). Laid out conveniently such that you click a category, and the articles within the category are displayed and then you click on the individual article you want to read. Of course, it's no surprise, the first article I wanted to read was mine. 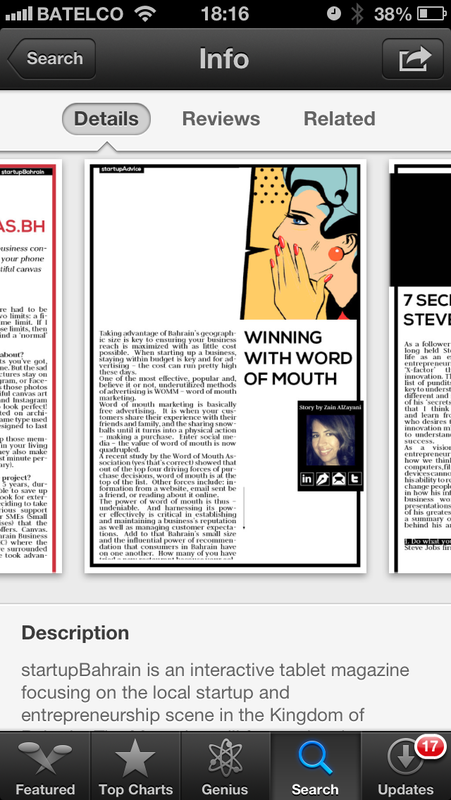 I share some tips on word of mouth and how businesses can utilize it in Bahrain - it's a good read (I hope). The transition from one page to another was so smooth and effortless - I loved the experience. What I love the most is how truly interactive it is. 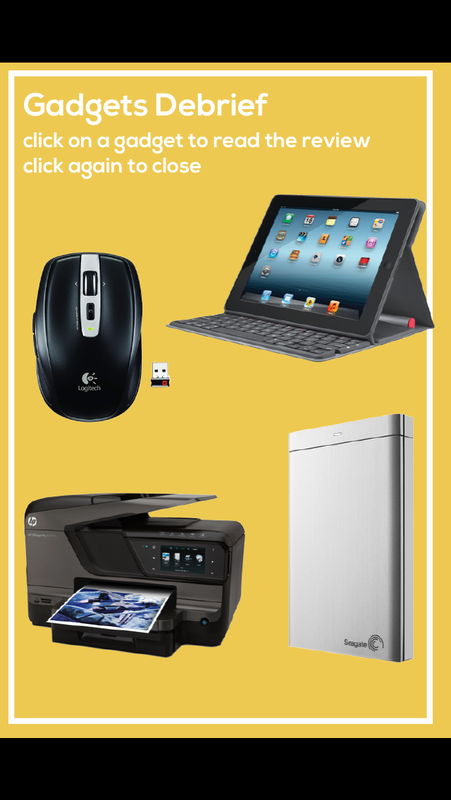 Clickable links, videos, and scrollable sections that make it really fun to read. My article for instance has clickable links to my Twitter page, Linked page, email and blog - all within one tap. 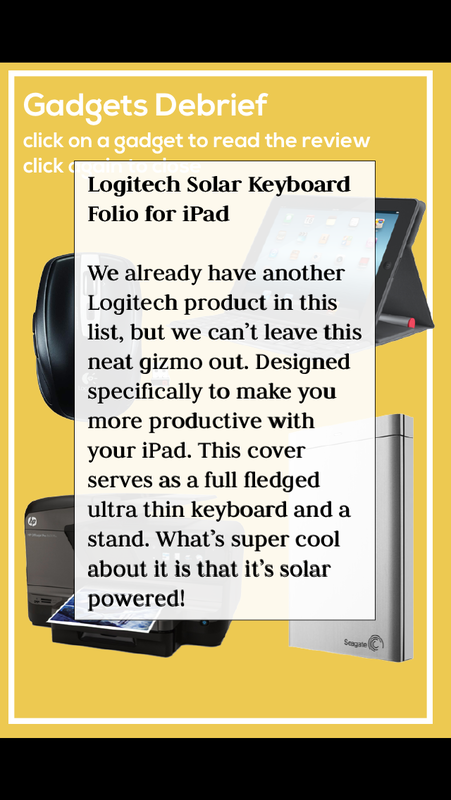 Another example, this section reviews four gadgets and tapping on one brings up a brief summary about it. Smooooooth. This section is an app review and clicking on either arrows takes you through the apps recommended. Since I used both the iPhone and iPad to read the magazine, I found the app flawless in both devices. The iPad of course takes up more on the screen and you would think that reading it on the iPhone would be less convenient - but honestly, it is not. Irrespective of which device you read this magazine on, it is enjoyable. I am impressed that they put in effort to make sure the experience is maintained across both devices. 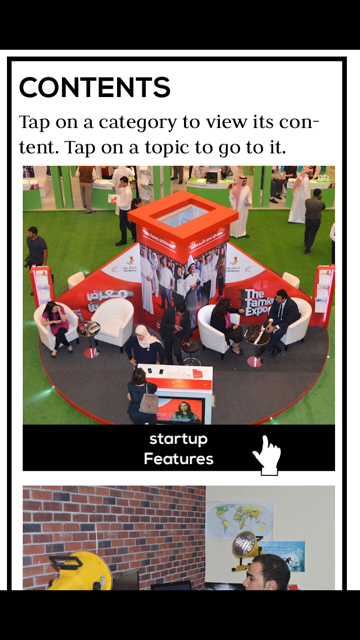 I often find a really cool iPhone app transition terribly into the iPad (or vice-versa) and I'm glad to say that this is not the case with the startupBahrain app. To sum it all up - this is a great app and it carries even greater content. It's relevant, short and sweet, professional and world-class. I wish this magazine a long-life and the team behind it great success. Entrepreneurs in Bahrain are truly lucky to have such a team with a strong and ambitious vision for them and Bahrain. Download it now folks - you won't regret it. First issue was on March 1, 2013. Backed by BDB & Tamkeen. First issue contributers: Mohammed Isa, Adel Maymoon, Isa Almoawdah, Vaijayantee, Osman Safdar, Shamma Uchil and yours truly.